Floreano 2015, 100% Albariño from young and old vines. 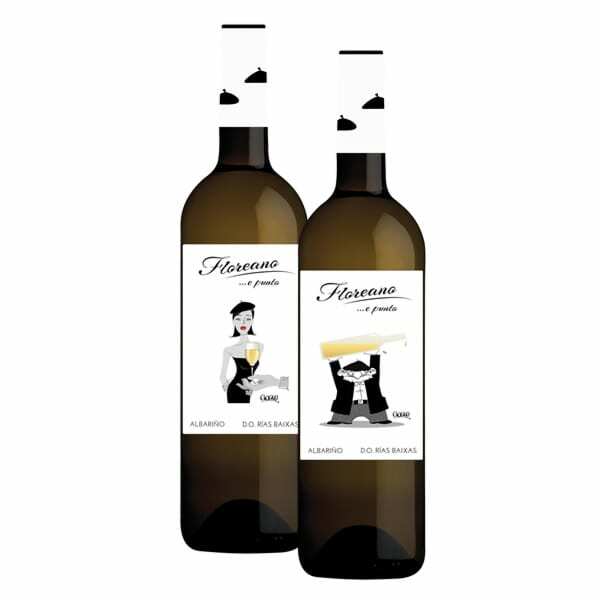 It is made as an old style traditional Albariño was made by means of maceration with the skin contact. They also use indigenous yeast, malolactic fermentation, lees stirring and is very low in sulfites. The bottles comes with two different labels for the same wine. They want to express the duality of the old times, with the old man and the modernity with the young lady.